I first heard about Resorts of Ontario in the 1980s while working as a young travel counsellor at 1-800-ONTARIO, the official call centre for Canada's second largest province. People would phone from all over North America wanting advice on the best places to stay in Ontario where they could swim, fish, eat, golf, hike, canoe, see fall colours, or even dogsled. Resorts of Ontario always had something, given its large membership and the locations of its resorts – the bulk of which are lakeside and at nature's back door. That was the case with a BBC crew I worked with many years later as a PR consultant for Ontario's tourism marketing agency. 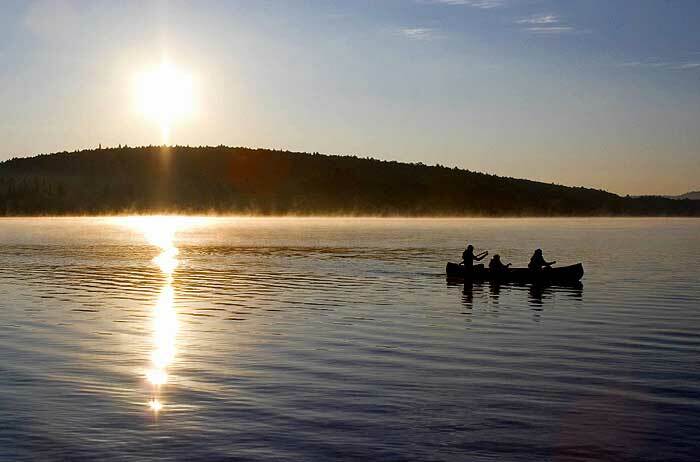 The crew asked for a lake, log cabin and moose and we found it all at Killarney Lodge in Algonquin Park. 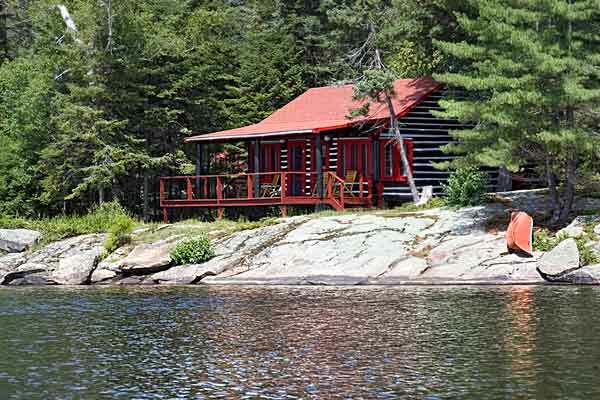 The resort is on a peninsula of land surrounded by water and parked outside every cabin is a red canoe. Can you say Canadian? Killarney's wonderful log cabins were built about 70 years ago. Their log interiors have aged over time and have this wonderful patina. Outside, each is painted a dark brown with red trim and has a little porch. The BBC gals and I were arriving late, so we telephoned ahead to let the resort owner know. Since the dining room was closing, the kitchen staff arranged for our dinners to be delivered to our cabins and so the three of us gathered to eat a great rib dinner. Now the thing about an Ontario provincial park is that the wildlife are permanent residents, not us, so my antennae went up when a persistent young raccoon showed up at the girls cabin door wanting in. The BBC gals thought he was the most adorable creature they'd ever seen and I think they were ready to extend him a welcome. Cute maybe but these masked bandits are cagey critters and I had taken careful notice of the resort's suggestion not to leave food in the cabin overnight. So we chose to leave our dinner trays in the resort lounge, a beautiful stand-alone building with a small library, board games, hot coffee, tea and a tray of freshly baked cookies. The light was still on in the place and a male guest was reading a book as we placed our trays inside and toodled off to bed.